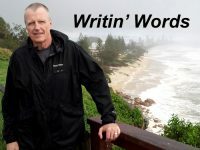 Hock Hochheim's Author Blog, "Writin' Words"
Oh Lord, it's hard to be humble, when you're perfect in every way. -Ernst Stavro Blofeld to 007 in "Diamonds Are Forever"
Blofeld! And some people quote Shakespeare! This essay is nothing more than a study of the use of the word “humbled.” I absolutely mean no offense, and I mean “zero,” toward the people who have used the word and the related expressions in the past in the manner I wish to dissect. You see, I often wonder if perhaps this word is misused? Misunderstood? Abused? I was perusing the worldly events and came across yet another statement by someone winning something, and then being…humbled...and that confused me. "I am humbled," they say. They won Wimbledon and they are...humbled? Most often this is from someone who is being complimented and wants to brag to the world about the compliment and yet, at the same time, tries to offset the obvious, blatant brag, with a claim of suddenly being “humbled” by the compliment and, or by the person paying the compliment. "I am bragging! Oh, but I am humbled, so I am not bragging." * Example 1: “Pete Smith said I was terrific. Pete Smith is famous. I am humbled." If you won these accolades, actually you are not really humbled. If Pete Smith is great, and he thinks you are great, or people all around the world think you are an expert, or you won the Oscar, Emmy, Beanie or Whammy, then you should be described with number of adjectives. Better words like happy. Or, proud. Beaming. Arrogant. Amazed. Bedazzled. Grateful. Confused. Undeserving, Surprised or Shocked. Bragging. Uplifted even! Certainly uplifted. And yes, you might accept this uplifting moment with a bit of that old, ‘aw shucks' humility. “Twas nothing!" Or, how about 'I was lucky.' You may act with humility, but you are not humbled. You are not eating that crappy old, nasty old humble pie. 1: Lower someone in dignity or importance: "I knew he had humbled himself to ask for my help." 2: Decisively defeat (another team or competitor, typically one that was previously thought to be superior). 3: To act very humble when one is shown to be wrong. 4: To be forced to admit that you are wrong and to say you are sorry. 5: Having a feeling of insignificance, inferiority, subservience, etc. 6: Low in rank, importance, status, quality, etc. ; lowly of humble origin; a humble home. When President Obama lost over 60 congressional seats in the 2010, mid-term elections, news reporters said the President was humbled by the loss. When the 2011 season Superbowl champs, New York Giants lost their 2012 season opener to the Dallas Cowboys, in the resultant press conference Head Coach Coughlin said he was humbled by the loss. Humbled because they lost, not won. These are accurate uses of the word. Even if you find some weird little literary trick connecting the term humbled with an uplifting success, or as a way to hide what is really a brag, it is weird and confusing and you probably shouldn't use it. Save the world a mental hiccup. About two months after I first published this essay on the web a few years ago, a major magazine writer wrote an article about this VERY subject! And it proceeded thought by thought, too. I was not humbled with this replication. No, sir. How Noble Was The Savage? 1984 is Back in Style, But Stalin Ain't Big Brother Anymore! The Last of Cumberbatch Sherlock Holmes? “Be Bad Now.” Once “Punches”…? The Great Escapes of Pancho Villa! Gunther Rides Again! In "Last of the Gunmen"